From Wikipedia, the free encyclopedia. 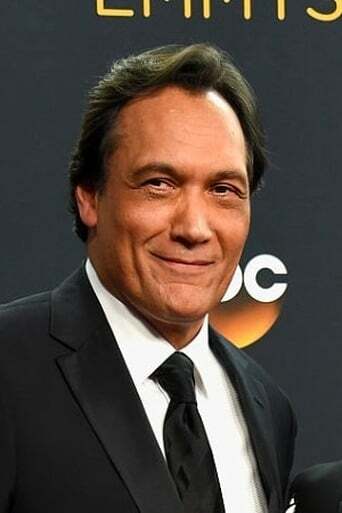 Jimmy Smits (born July 9, 1955) is an American actor. Smits is perhaps best known for his roles as attorney Victor Sifuentes on the 1980s legal drama L.A. Law, as NYPD Detective Bobby Simone on the 1990s police drama NYPD Blue, and as U.S. Congressman (and later President of the United States) Matt Santos on The West Wing. He is also notable for his portrayal of Bail Organa in the Star Wars prequel trilogy, and Miguel Prado in Dexter. In the fall of 2010, he starred in NBC's short-lived series Outlaw, about a U.S. Supreme Court justice who leaves the bench to return to practicing law. Description above from the Wikipedia article Jimmy Smits, licensed under CC-BY-SA, full list of contributors on Wikipedia.